These mothers and their kids struggled for years with severe dizziness, pain, digestive problems, infections and impaired motor function that doctors couldn’t diagnose. Some were bedridden. One teen boy missed his entire high school education. One family was even close to committing their daughter to an institution because doctors believed her symptoms to be psychosomatic. 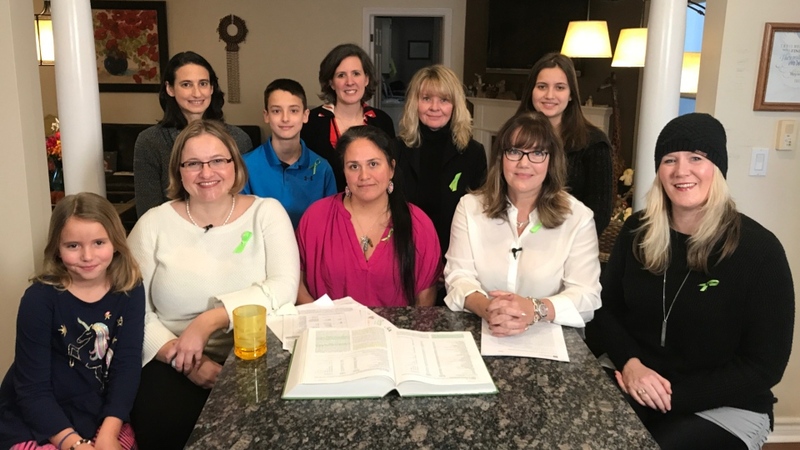 They all say the mystery was solved when they were tested and treated for Lyme disease and now a group of Ontario mothers and kids have banded together to build awareness of the transmission of the disease from mother to child before birth. “Women need to know this is a possibility. Doctors need to know this is a possibility,” said Jennifer Kravis, co-founder and director of advocacy group LymeHope. She and other mothers and their children gathered together in Burlington, Ont. to talk to CTV’s medical correspondent Avis Favaro earlier this month. Kravis says LymeHope is working to ensure all front-line medical professionals understand Lyme disease and that Canada invests in diagnosis, testing and treatments. Lyme disease is an infectious disease caused by bacteria that is primarily transmitted by ticks found in wooded or grassy areas. Kravis says Canadian research shows as many as 90 per cent of Canadians with Lyme disease are being missed. Lyme is a polarizing issue in the medical world, with some professionals questioning the available testing and others debating the efficacy of current treatments. There are multiple strains, depending on where infection occurs, and just like all bacteria, those strains mutate over time. As well, the symptoms of Lyme disease are wide-ranging, intermittent and affect many systems of the body. They also mimic many other diseases, including chronic fatigue syndrome, multiple sclerosis, fibromyalgia and depression. But typically, they include fatigue, joint and muscle pain, twitching, cognitive impairment and memory loss, heart-related symptoms, nerve pain, numbness, hot/cold sensations, tingling, headache, troubles sleeping, stomach and digestive issues, and depression or mood swings. As the infection spreads, symptoms and damage to the body intensifies and can lead to permanent disability, making earlier diagnosis crucial. But diagnosis is not easy. Beyond the broad symptoms, there is no perfectly accurate test. A diagnosis must come through a review of symptoms and history and be supported by a blood test for antibodies. But even a negative test can’t rule out Lyme disease. LymeHope is pushing for the screening of Lyme disease in pregnant women, research into better testing, and for the use of preventative antibiotics if there are concerns. They say mothers can be asymptomatic and still pass on the disease. And the infant can appear healthy at birth, but display symptoms months or even years later. One thing not up for debate is the rapid spread of the ticks that carry the bacteria. There were 2,025 confirmed and probable cases of Lyme in Canada in 2017, up from 992 in 2016 and 144 in 2009. The women behind LymeHope believe they were bitten by infected ticks before getting pregnant. Some displayed symptoms of Lyme disease before or during pregnancy. Others did not. But none suspected Lyme. 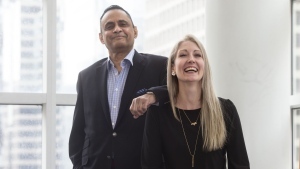 Kravis, a former lawyer and bank executive, had to leave work in 2007 when she was debilitated by the sudden onset of severe headaches, numbness, tingling, nerve and joint pain, memory loss, vision problems and neuropathy in her hands. She was bedridden for a year and diagnosed at 36 with fibromyalgia and chronic fatigue syndrome and was told she had an incurable virus. She saw 68 doctors in Ontario between 2007 and 2014. Kravis began to research Lyme disease and found a specialist in New York. She’s been taking antibiotics for two years and within days experienced “dramatic improvements.” She also looked at the myriad health issues in her children differently. She had both daughters tested and both came back positive for Lyme disease. Daniel Stimers, 12, says he suffered from migratory pain and severe dizziness and that no specialist could pinpoint a cause. A heavy feeling in his legs forced him to sit out hockey games. Night sweats made it difficult to sleep. He was extremely sensitive to noise and had severe mood swings. “Dizziness and clumsiness became a problem at school. My friends counted how many times I fell off my chair that year. The total was 109,” Daniel, who lives in Keswick, Ont., told MPs at a LymeHope education roundtable event last May. He was born in 2006 at full term but weighing just over 4 pounds. He displayed symptoms right from birth, some disappearing but others progressing, says his mom Illana. In 2014, Illana became so riddled with pain and weakness she could barely lift a plate out of the cupboard or brush her hair. She had to take a leave from her work as a veterinarian. That’s when a colleague raised the possibility of Lyme. All the symptoms suddenly made sense. Illana flashed back to a working trip to Nepal in 2000. The Stimers family turned to a U.S. doctor for testing, diagnosis and treatment. Three years of antibiotics, anti-malarials and herbal medications means Daniel is now symptom free. His lymph nodes have returned to a normal size, along with unexplained elevated liver enzymes. Illana is convinced she passed on Lyme disease to her son while pregnant. While the organizers behind LymeHope have no doubt about congenital transmission of the disease, the medical world isn’t convinced. The Public Health Agency of Canada (PHAC) published a scientific review in November 2018 that says mother-to-baby transmission is “biologically plausible” but that there is little scientific proof that it poses a risk to the child. According to LymeDisease.org, an advocacy group based in the U.S., infected women can pass on the disease to their unborn children. “Some doctors believe other types of human-to-human transmission are possible but little is known for certain,” says the group’s website. The Society of Obstetricians and Gynecologists of Canada says it has no position on the impact Lyme may have on a fetus, though it is undertaking the development of guidelines for the prevention and symptoms of the disease. Dr. Howard Njoo, the deputy chief public health officer at PHAC, says research to date is limited and inconclusive about the outcomes of Lyme disease during pregnancy. But those behind LymeHope are undaunted. The group is partnering with a scientist at Mount Allison University in New Brunswick to test infected mothers and sick children to look for similarities in the DNA of the bacteria and clarify the transmission link. If there is no match, that points to the child having been directly infected by a tick. Lloyd says the medical community has focused on ticks as the source of transmission but must consider other sources, including congenital transmission, in order to manage the disease. She says the question of transmission becomes more significant as the number of people with Lyme disease, including women of child-bearing age, rapidly expands worldwide. Tamara House’s son Luke was plagued by health problems from birth. By 13, he was house-bound by anxiety, digestive problems, dizziness and motor tics and did not attend high school. He was variously diagnosed with Tourette Syndrome, irritable bowel syndrome, depression, chronic fatigue system and other ailments. Tamara also lived with episodes of tinnitus, hearing loss, vertigo and Bell’s palsy but says she was primarily without symptoms. A test in the U.S. pointed to Lyme disease for both of them, along with an older son, and Tamara is convinced there was maternal transmission. “I was horrified that I had passed it on to him,” said House, a co-founder of LymeHope. Now 19 and after two years of antibiotic treatment, Luke is healthy and preparing to go to college. 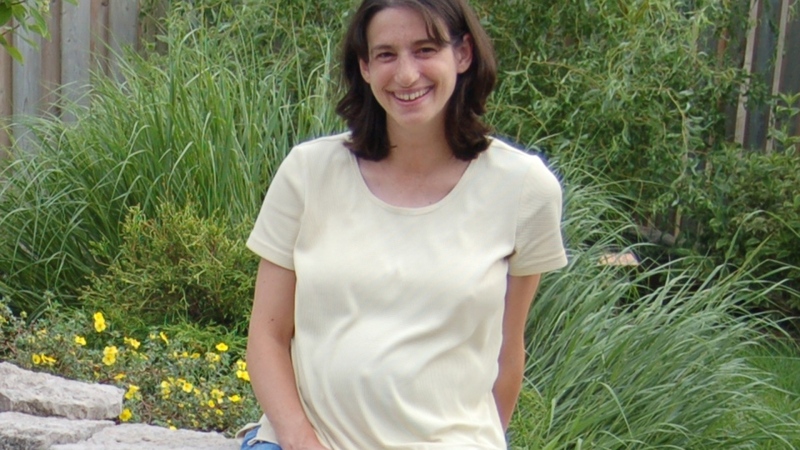 Sarah Surkos of Toronto was grateful for a Lyme disease diagnosis for herself and her children. 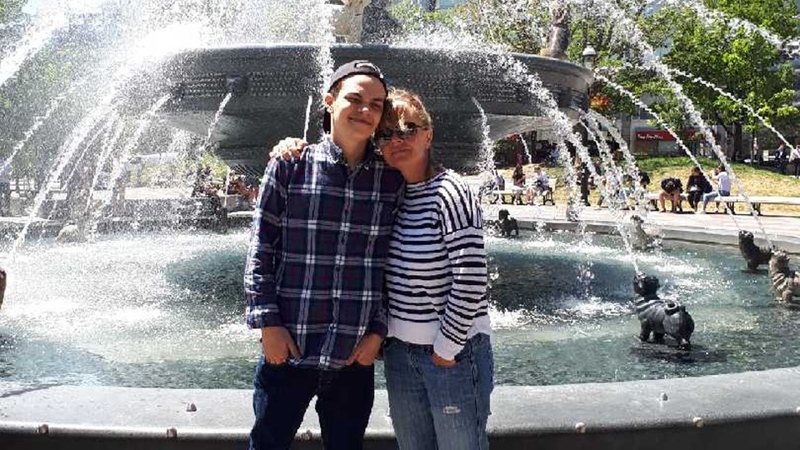 She had been told she had multiple sclerosis and her two children had almost constant unexplained fevers from birth and later, gastrointestinal reflux and infections of the bladder, throat and chest. Her daughter Evelyn developed more debilitating symptoms as she grew and at one point, was bedridden for months. The family visited more than 25 specialists over two years and came to believe Evelyn’s illness was psychosomatic and that she needed intensive help. Surkos and her children tested positive but Surkos does not believe her daughter or son were ever bitten by a tick. All were treated with antibiotics. Tara Shannon Renaud, an Ottawa musician and business owner, was struck by how quickly years of symptoms disappeared in her and her children once they were treated for Lyme disease. Just last year, she spent three months in bed. But she started to do her own research and got a test for Lyme. She then reconsidered her children’s unexplained health issues, including fatigue, depression and anxiety, nerve pain and muscle weakness, digestive issues, joint pain and swelling and migraines. Tests of five of her seven children came back positive for Lyme. To her knowledge, none have been bitten by a tick. Despite being a registered nurse, Sue Faber never considered Lyme disease as a cause of the “strange symptoms,” including vomiting, limb pain and profound fatigue experienced by her and her three children. Her youngest daughter Andrea experienced failure to thrive, cyclical fevers and rashes. They all tested positive for Lyme. Now a co-founder of LymeHope, Faber is among the mothers on a mission. The women say they are committed to working together to raise awareness, push for research and prevent more suffering, especially as health authorities warn that the tick population is growing. LymeHope has collected names on a petition to the federal government that shows many Canadians are trying to find answers to their children’s symptoms, many while fighting their own ailments, says Renaud. They are being told they are anxious, stressed, tired or working too hard, she says. A group of mothers has banded together to form LymeHope because they believe they unknowingly transmitted Lyme disease to their children while pregnant.